The Beef Products case reveals a schism between the main Department of Agriculture and its division that oversees the school lunch program, a divide that underscores the government’s faltering effort to make hamburger safe. The U.S.D.A. banned the sale of meat found to be contaminated with the O157:H7 strain of E. coli 15 years ago, after a deadly outbreak was traced to Jack in the Box restaurants. Meat tainted with salmonella is also a hazard. But while the school lunch program will not buy meat contaminated with salmonella, the agriculture department does not ban its sale to the general public. Even so, E. coli outbreaks nationwide have increased in recent years. And this summer, two outbreaks of particularly virulent strains of salmonella in hamburger prompted large recalls of ground beef across several states. Although no outbreak has been tied to Beef Products, officials said they would thoroughly scrutinize any future industry innovations for fighting contamination “to ensure that they are scientifically sound and protect public health,” and that they were examining the government’s overall meat safety policies. The company says its processed beef, a mashlike substance frozen into blocks or chips, is used in a majority of the hamburger sold nationwide. But it has remained little known outside industry and government circles. Federal officials agreed to the company’s request that the ammonia be classified as a “processing agent” and not an ingredient that would be listed on labels. Within the U.S.D.A., the treated beef has been a source of friction for years. The department accepted the company’s own study as evidence that the treatment was effective. School lunch officials, who had some doubts about its effectiveness, required that Beef Products meat be tested, as they do all beef used by the program. School lunch officials said that in some years Beef Products testing results were worse than many of the program’s two dozen other suppliers, which use traditional meat processing methods. From 2005 to 2009, Beef Products had a rate of 36 positive results for salmonella per 1,000 tests, compared to a rate of nine positive results per 1,000 tests for the other suppliers, according to statistics from the program. Beef Products said its testing regime was more likely to detect contamination. Despite some misgivings, school lunch officials say they use Beef Products because its price is substantially lower than ordinary meat trimmings, saving about $1 million a year. Another snapshot of processed beef’s performance emerges from confidential records of tests in 2007 by the food giant Cargill. In the preceding year and a half, Cargill, which used more than 50 vendors, suspended three facilities for excessive salmonella; two were Beef Products plants, records show. Since introducing the treated meat, Beef Products has faced the challenge of balancing safety with taste, records and interviews show. Pathogens died when enough ammonia was used to raise the alkalinity of the beef to a high level, company research found. But early on, school lunch officials and other customers complained about the taste and smell of the beef. Samples of the processed beef obtained by The Times revealed lower levels of alkalinity, suggesting less ammonia was used. Beef Products said it had submitted new research to the agriculture department showing that its treatment remained effective with lower alkalinity. Agriculture officials said Beef Products’ latest study is under review. Headstrong and self-assured, Eldon N. Roth had the good fortune of being in the right place at the right time. Mr. Roth spent the 1990s looking to give Beef Products a competitive edge by turning fatty slaughterhouse trimmings into usable lean beef. Mr. Roth and others in the industry had discovered that liquefying the fat and extracting the protein from the trimmings in a centrifuge resulted in a lean product that was desirable to hamburger-makers. The greater challenge was eliminating E. coli and salmonella, which are more prevalent in fatty trimmings than in higher grades of beef. According to a 2003 study financed by Beef Products, the trimmings “typically includes most of the material from the outer surfaces of the carcass” and contains “larger microbiological populations.” Beef Products said it also used trimmings from inside cuts of meat. Mr. Roth was well suited to tackle the problem, friends say. Though lacking a science background, he had a knack for machinery and obtained patents for over two dozen pieces of equipment and methods used in processing beef. One of Mr. Roth’s early trials involved running electricity through the trimmings to kill bacteria, Dr. Theno and others said. Mr. Roth eventually settled on ammonia, which had been shown to suppress spoilage. Meat is sent through pipes where it is exposed to ammonia gas, and then flash frozen and compressed — all steps that help kill pathogens, company research found. The treated beef landed in Washington in 2001, when federal officials were searching for ways to eliminate E. coli. Beef Products already had one study showing its treatment would do that; another company-sponsored study by an Iowa State University professor that was published in a professional journal seconded that finding. Mr. Roth asserted that his product would kill pathogens in untreated meat when it was used as an ingredient in ground beef — raising the prospect of a risk-free burger. “Given the technology, we firmly believe that the two pathogens of major concern in raw ground beef — E. coli O157:H7 and salmonella — are on the verge of elimination,” Mr. Roth wrote to the department. Represented by Dennis R. Johnson, a top lawyer and lobbyist for the meat industry, Beef Products prevailed on the question of whether ammonia should be listed as an ingredient, arguing that the government had just decided against requiring another company to list a chemical used in treating poultry. In 2004, lunch officials increased the amount of Beef Products meat allowed in its hamburgers to 15 percent, from 10 percent, to increase savings. In a taste test at the time, some school children favored burgers with higher amounts of processed beef. Beef Products does not disclose its earnings, but its reported production of seven million pounds a week would generate about $440 million in annual revenue, according to industry records. As sales took off, Mr. Roth started offering a buy-back guarantee: If any of the most virulent E. coli was found in ground beef containing Beef Products meat, the company would buy the tainted meat. As suppliers of national restaurant chains and government-financed programs were buying Beef Product meat to use in ground beef, complaints about its pungent odor began to emerge. In early 2003, officials in Georgia returned nearly 7,000 pounds to Beef Products after cooks who were making meatloaf for state prisoners detected a “very strong odor of ammonia” in 60-pound blocks of the trimmings, state records show. Unaware that the meat was treated with ammonia — since it was not on the label — Georgia officials assumed it was accidentally contaminated and alerted the agriculture department. In their complaint, the officials noted that the level of ammonia in the beef was similar to levels found in contamination incidents involving chicken and milk that had sickened schoolchildren. Beef Products said the ammonia did not pose a danger and would be diluted when its beef was mixed with other meat. The U.S.D.A. accepted Beef Product’s conclusion, but other customers had also complained about the smell. Soon after getting initial approval from the agriculture department, the company devised a plan to make a less alkaline version of the beef, internal company documents show. Beef Products acknowledged in an e-mail exchange that it was making a lower pH version, but did not specify the level or when it began selling it. In 2008, after the school lunch program temporarily suspended a Beef Products plant for salmonella contamination, the company wrote in a letter that its effort to combat ammonia “aroma” might have reduced the alkalinity below the initial target levels. It said it was taking steps to ensure that the alkalinity remained elevated. This month, Beef Products provided The Times with new research that the company said showed that E. coli and salmonella were undetectable at a pH level of 8.5. The agriculture department said it did not learn that Beef Products was using lower levels until October, after inquiries by The Times, and that it was studying the company’s research. At 6:36 a.m. on Aug. 10, the Beef Products plant in South Sioux City, Neb., started up its production line for the school lunch program. In 60 minutes, the plant produced a batch of 26,880 pounds of processed beef that tested positive for E. coli. Six days later at the same plant, another 26,880-pound lot was found to have salmonella, government records and interviews show. Within hours of confirming the contamination, the school lunch division of the Agriculture Department in Washington began investigating. Just down the hall at department headquarters, the division that oversees meat for the general public did not conduct its own inquiry for another month and half, after receiving questions from The Times. The problems in South Sioux City came shortly after school lunch officials had suspended a Beef Products plant in Holcomb, Kan., for excessive salmonella. The main U.S.D.A. was not notified of the suspension by school lunch officials, and the plant continued to supply other customers. Agriculture Secretary Tom Vilsack has since directed school lunch officials to share information about their suspensions with the department’s meat safety division. In addressing the latest contamination cases in Nebraska, Beef Products said it suspected a glitch in its treatment operations, referring to ammonia gas by its chemical name, NH3, according to an e-mail message to school lunch officials. After the school lunch officials replied that the glitch might explain only one of the two episodes, Beef Products shifted focus to its suppliers, saying it would more closely scrutinize them for contamination. Under the U.S.D.A.’s new policy for Beef Products, the company itself is also likely to get more scrutiny. Cargill, one of the nation’s largest hamburger makers, is a big buyer of Beef Products’ ammoniated trimmings for its patties. Company records show that Beef Products, like other suppliers, has periodically exceeded Cargill’s limits on acceptable bacteria levels. That led Cargill to stop buying meat from two Beef Products plants for several months in 2006 after company tests showed excessive levels of salmonella. But the following year, when Cargill faced an E. coli outbreak, it ruled out Beef Products as a possible culprit, citing the U.S.D.A.’s view that the ammonia treatment provided a “lethality step” for the pathogen. In addition, Cargill officials said recently, they suspect that another supplier, not Beef Products, was the problem. As a result, Beef Products did not face as wide a recall as other Cargill suppliers. Recently, another E. coli outbreak was traced to a hamburger maker in upstate New York that also used multiple suppliers, including Beef Products. This time, the agriculture department said Beef Products was being recalled with other suppliers, although a source of the contamination had not been identified. “This will continue to be our approach going forward,” the department said. The often feared and sometimes deadly infections caused by methicillin-resistant Staphylococcus aureus (MRSA) are now moving out of hospitals and emerging as an even more virulent strain in community settings and on athletic teams, and raising new concerns about antibiotic resistance. Right now, the new community-associated strain of MRSA is responsive to more, but sometimes different, antibiotics than its hospital relative, experts say. But those antibiotics will almost certainly lose their effectiveness as they are used more widely, and efforts are under way to combat that issue. A new study by pharmacy researchers at Oregon State University has identified two antibiotics that appear less likely to cause future antibiotic resistance, and others that if used would allow resistance to emerge more quickly. This analysis, just published in the International Journal of Antimicrobial Agents, offers physicians some direction to help deal with this problem until more research can be done, they said. “The problem with invasive MRSA infections is very real and is now moving from the hospital setting to the community,” said George Allen, an assistant professor in the OSU College of Pharmacy. “The community-based strain in some ways is even more apt to cause serious problems than those most often acquired in hospitals, and increasing quite dramatically in prevalence.The good news is that so far the community strain is more treatable, if we can keep it that way,” he said. Staphylococcus aureus, a common bacterium that’s often associated with skin infections, was once treated easily by penicillin. But over many years it acquired resistance to that, as well as the penicillin-derivative methicillin and other antibiotics, leaving limited options to address it. Although infections are usually minor, some can spread rapidly, cause pneumonia, tissue necrosis, bloodstream infections, shock and death. In the new research based on laboratory analysis, scientists identified linezolid and moxifloxacin as two antibiotics that would be effective against, and less apt to induce antibiotic resistance in the new strain of community-associated MRSA. That’s of some interest because moxifloxacin, like other antibiotics in its class, has not been traditionally thought of as an appropriate agent for MRSA because resistance to it often develops rapidly. Antibiotics that are most apt to cause rapid development of resistance against the community-associated strain of MRSA include clindamycin and doxycycline, the research found. The study was supported by the Society of Infectious Diseases Pharmacists. More research, animal and clinical trials would still be of value to further explore this issue, Allen said. The issue of antibiotic resistance in general and MRSA resistance in particular is huge and getting worse. Meanwhile, the general public should be aware that MRSA infections are no longer confined to the hospital, and can be acquired in ordinary community settings, he said. They are often associated with close personal contact, and have been a particular problem with some athletic sports such as wrestling or football when multiple members of a team have been infected. MRSA usually, but not always shows first as a skin infection, with such symptoms as swelling, pain, pus or fever. Any significant symptoms or evidence of spread of the infection should be seen by a physician, Allen said. Basic first aid – soap, water and a bandage – on cuts and scrapes is a good first line of defense, he said, and some antibacterial ointments are available that have been proven to have enhanced effectiveness against MRSA infections. Complicating the issue, experts say, is that the new community-associated strain of MRSA is now showing up in hospitals, as well, and optimal treatment regimens for the two strains may differ. “Our data suggest that resistance to all of the tested antimicrobials will develop with their continued use,” the researchers wrote in their report. Post-surgical infections significantly increase the chance of hospital readmission and death and cost as much as $60,000 per patient, according to Duke University Medical Center researchers who conducted the largest study of its kind to date. "We conducted a multi-center study of multiple surgical procedure types among 659 patients to determine clinical and financial outcomes of surgical site infections that are directly attributable to MRSA (methicillin-resistant Stapylococcus aureus)," said Deverick J. Anderson, MD, MPH, an infectious diseases specialist at Duke University Medical Center and lead author of the study. "We found the impact of methicillin-resistance on surgical patients is substantial and that preventing a single case of surgical site infection due to MRSA can potentially save hospitals as much as $60,000." Previously published research on surgical site infections provided conflicting conclusions. For the Duke study, researchers looked at the 90-day postoperative period for patients over a five-year period in one tertiary care center and six community hospitals in the Duke Infection Control Outreach Network (DICON). Created in 1997, DICON assists community hospitals in improving quality of care and enhancing patient safety, while minimizing the costs associated with non-evidence based approaches to infection control. The researchers compared hospital readmission, mortality, length of hospital stay and hospital charges for patients in three groups. Some had surgical site infections due to MRSA, some were infected with methicillin-susceptible Staphylococcus aureus (MSSA), and some were uninfected. The study evaluated deep-incision and organ/space infections, which are more severe than superficial infections at the site of incision. The findings are published in PLoS ONE. "We found that patients with surgical site infections due to MRSA were 35 times more likely to be readmitted and seven times more likely to die within 90 days compared to uninfected surgical patients," Anderson said. "These patients also required more than three weeks of additional hospitalization and accrued more than $60,000 in additional charges." The researchers found most of the outcomes for MRSA compared to MSSA were worse, as anticipated, however one finding was surprising, according to Anderson. "Our findings show that methicillin-resistance contributed to longer hospital stays and increased hospital charges but did not increase the risk of mortality," he said. The data shows that patients with surgical site infections due to MRSA compared to MSSA on average required six more days of hospitalization and incurred $24,000 in additional charges. "For the seven hospitals we looked at, the total estimated cost resulting from surgical site infections due to MRSA was more than $19 million," Anderson said. "That's a staggering amount, which demonstrates an area of cost-saving potential for these institutions and other community hospitals." The Duke study provides the first cost impact data tied to post-surgical MRSA infection in a large group of hospitals. "Given our estimated cost of one MRSA case, we can conclude that a $60,000 intervention to prevent even one of these infections would be cost-effective for an institution," Anderson said. "With this new financial data, greater emphasis should be placed on an effort to design and evaluate specific preventative interventions." Other researchers involved in the study include Luke F. Chen, Kenneth E. Schmader, Yong Choi and Daniel J. Sexton of Duke University Medical Center; and Keith S. Kaye, formerly of Duke University Medical Center now at Detroit Medical Center. IRVINE, CA--(Marketwire - 12/21/09) - BioLargo, Inc. (OTC.BB:BLGO - News) today announced that Odor-No-More(TM) (www.OdorNoMore.com) will be showcased on the internationally renowned television show, "Best of America by Horseback," hosted by Tom Seay in a "product spotlight." The segment will air in multiple showings, beginning in January 2010. Tom was introduced to Odor-No-More(TM) at a recent EquineAffaire event. After seeing a demonstration of its super-absorbency and odor eliminating power, he immediately decided to feature the product on his show, "Best of America by Horseback," on RFD-TV, which airs on more than 600 cable networks and satellite providers in 14 countries. 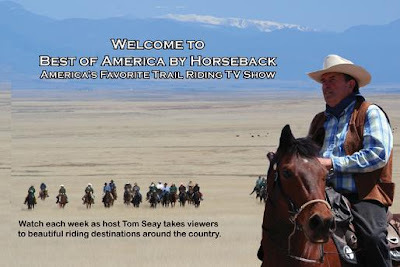 Joe Provenzano, VP and Product Manager, commented, "'Best of America by Horseback' is America's number one trail riding television series, and is broadcast on rural America's most important network, RFD-TV. I cannot imagine a better venue to help promote Odor-No-More. 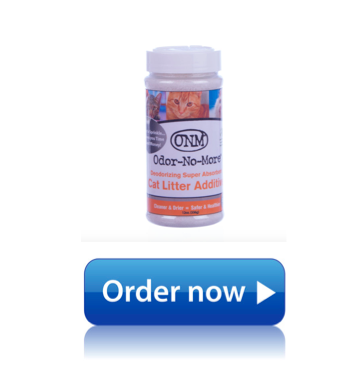 Odor-No-More delivers dramatic cost savings while creating cleaner, dryer, safer and healthier stalls. We are changing the way horses are stalled forever." The "Best of America by Horseback" television series features trail riding locations and events across America. Tom often provides tips and suggestions about the care of horses. The show is currently aired three times weekly on the RFDTV Network via both DISH (Channel 231) and DirecTV (Channel 379) satellite networks, as well as numerous cable companies across the nation, including Comcast, MediaCom, TimeWarner, Cox and Verizon to name a few. In addition to their popular trail rides across America and their television series, Tom Seay and other "Best of America by Horseback" associates appear at numerous speaking and judging events throughout the year, including several equine events, such as the Annual EquineAffaires in California, Ohio and Massachusetts. Learn more by visitingwww.BestofAmericaByHorseback.com. BioLargo, Inc. is engaged in pre-licensing and product evaluation with strategic partners to leverage a suite of patented and patent-pending intellectual property, the BioLargo technology. 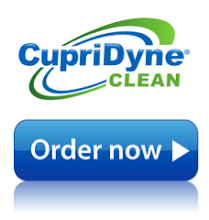 The BioLargo technology, the centerpiece of which is CupriDyne, works by combining minerals and salts with water from any source to generate and deliver molecular iodine on demand, in controlled dosages, in order to balance efficacy of disinfectant performance with concerns about toxicity. In addition to its BioLargo technology, the Company acquired the rights to market an iodine based water disinfection system (the Isan system) from Ioteq IP Pty. Ltd., an Australian company, and its United States affiliate Ioteq Inc. during the year ended December 31, 2008. The Isan system is an automated water disinfection system that substantially reduces the incidence of fungal growth, spoilage, organisms and pathogens in water and on food. IRVINE, CA--(Marketwire - 12/17/09) - BioLargo, Inc. (OTC.BB:BLGO - News) today announced that Dover Saddlery will carry Odor-No-More(TM) throughout all of their retail channels. "We are pleased that Odor-No-More was evaluated and selected by an industry leader like Dover Saddlery. Dover Saddlery's commitment to being 'The Source�' for proven quality products for a highly specialized equestrian customer complements our commitment to providing the best product in its class," stated Joe Provenzano, VP & Product Manager for BioLargo. "We look forward to having Odor-No-More(TM) products available for all Dover customers in the New Year." Dover Saddlery, Inc. (NASDAQ:DOVR - News) is the leading multichannel retailer of equestrian products in the United States. Founded in 1975 in Wellesley, Massachusetts by United States Equestrian team members, Dover Saddlery has grown to become The Source� for equestrian products. Dover offers a broad and distinctive selection of competitively priced, brand-name products for horse and rider through catalogs, the Internet and company-owned retail stores. Dover Saddlery, Inc. serves the English rider, and through Smith Brothers, the Western rider. The Source�, Dover Saddlery� and Smith Brothers� are registered marks of Dover Saddlery. BioLargo's business strategy is to harness and deliver Nature's Best Solution(TM) -- free-iodine -- in a safe, efficient, environmentally sensitive and cost-effective manner. BioLargo's proprietary technology works by combining micro-nutrient salts with liquid from any source to deliver free-iodine on demand, in controlled dosages, in order to balance efficacy of performance with concerns about toxicity. BioLargo's technology has potential commercial applications within global industries, including but not limited to agriculture, animal health, beach and soil environmental uses, consumer products, food processing, medical, and water industries. BioLargo works with The ET Horn Company as Master Distributor for its Odor-No-More(TM) products. The company's website is www.BioLargo.com. IRVINE, CA--(Marketwire - 12/16/09) - BioLargo, Inc. (OTC.BB:BLGO - News) today announced that it conducted small and large scale studies with the management and groomsmen at the Huntington Central Park Equestrian Center (HCPEC) in Huntington Beach, California. 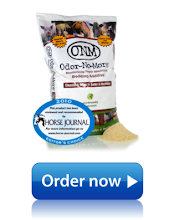 The company's Animal Bedding Additive (www.OdorNoMore.com) was put through rigorous 30-day product trials to prove that it saves money, eliminates odor and moisture and creates a cleaner, dryer, safer and healthier stall for animals. As soon as the trial results were in and the cost savings and other benefits were apparent, the equestrian center immediately moved forward to introduce Odor-No-More� to its customers for use throughout the 400 plus stall facility. Alison Hathaway, HCPEC General Manager commented, "We tested Odor-No-More� in the stall of an extremely wet mare. This extreme case really proved that the product performs. It really does eliminate odor and moisture while reducing the amounts of bedding changed and disposed of. We estimate the savings on this stall alone, to be more than $300 per month. In our second trial we tested the product in 30 box stalls and we experienced the same performance results. The reduction in bedding consumption is huge. I am sure our disposal costs will decrease as well. When you consider that we have more than 400 stalls, the cost savings is very significant. I would not have believed this was possible if we had not done the trial." "We are very appreciative to the staff at HCPEC for their efforts to help validate our product claims. A number of additional commercial trials with similar large scale equestrian centers are underway," says Joseph Provenzano, VP and Product Manager. "Between our large and small scale trial results and our retail 30-day money back guarantee, Odor-No-More has become a no-risk offer for customers." Approximately 47 million Americans, or about one in six people in the U.S., were sickened with swine flu from April to mid-November and 9,820 of them died, the Centers for Disease Control and Prevention said Thursday, indicating the new virus spread widely before cresting last month. The new numbers reflect a substantial increase in illnesses between mid-October and Nov. 14, as a fall wave peaked and then began to decline. About 213,000 people were hospitalized during the period, about the same amount as in a normal flu season, the CDC said. The CDC estimated in November that as of Oct. 17, 22 million people had been ill and 3,900 had died. A small portion of the difference between the old and new estimates was due to corrections for late reporting, the CDC said. Nonelderly adults and children made up the vast majority of illnesses, hospitalizations and deaths from April through November, reflecting the heavier-than-usual toll this virus has taken on the young. "Many times more children and younger adults, unfortunately, have been hospitalized or killed by H1N1 influenza than during a regular flu season," said CDC Director Thomas Frieden. With 85 million doses of H1N1 vaccine made available for ordering since October, many states have stopped limiting doses to high-priority patients such as pregnant women and children and started offering them to the general population. That means more vaccine should become available through outlets such as clinicians and retail pharmacies, and the CDC has started offering the vaccine to its employees, Dr. Frieden said. He urged people to seek an inoculation and said he plans to get a nasal spray vaccine in a few days. "We're at the beginning of December. Flu season lasts until May. And we don't know what the future will bring in terms of H1N1 influenza," he said. "We know that the more people who get vaccinated, the lower the likelihood there will be additional cases or a third wave," he said. While pediatric hospitalizations and deaths have drawn a lot of attention, adults under age 64 appear to have suffered worse. About 16 million children became ill, but their death rate was lower than those of nonelderly adults and seniors, according to the CDC data. About 71,000 children were hospitalized and 1,090 died from April to Nov. 14. About 27 million adults between the ages of 18 and 64 were sick with H1N1 flu, 121,000 were hospitalized, and 7,450 died. Four million people ages 65 and older are estimated to have been ill, with 21,000 hospitalized and 1,280 deaths. Still, the death toll on the young was higher than with seasonal flu. Fewer than 1,000 people under the age of 50 die from flu in a normal season, Dr. Frieden said. The comparisons aren't exact, because the CDC calculates deaths from seasonal flu differently, he cautioned. About 90% of the estimated 36,000 people who die annually from the seasonal flu are elderly, according to the CDC. The New York Racing Association said it would bar any owner or trainer from competing at its racetracks if any of their horses were sold for slaughter. It also urged horsemen who are part of what is widely considered the premier racing circuit in the nation to support rescue and adoption efforts and to find humane ways of dealing with horses that are unable to continue racing. This aggressive anti-slaughter policy comes after Ernie Paragallo, a prominent New York breeder and owner, was barred from racing in the state when more than 170 malnourished horses were found last April at his Center Brook Farm in Climax, N.Y.
Paragallo, who was arraigned in August on 35 counts of animal cruelty, could face up to two years in prison and $35,000 in fines. The policy also comes at a time when horse racing is under intense scrutiny for a range of issues, including the illegal use of drugs, overuse of legal medications and lax oversight and weak penalties on matters concerning the welfare of horses. The racing association also instructed owners and trainers to know with whom they are dealing when buying and selling horses.